Saavn, one of a handful of Spotify would-bes in India, is moving beyond Bollywood music after adding 800,000 tracks from international artists to its catalog via licensing agreements with Warner Music and EMI. Two record deals takes Saavn’s library up to nearly two million tracks, but more importantly it means the service now covers all major labels in the US, including Sony and Universal. By offering artists like Coldplay, Led Zeppelin and Madonna, US-headquartered Saavn hopes to widen its appeal to music lovers in India. “We want to be the first stop for music in India, especially on a smartphone, whatever you are listening to. That means going beyond Bollywood and having Western music too,” said Saavn co-founder Rishi Malhotra, who also revealed changes among the company’s New York-based executive team. Malhotra has switched into the CEO role. Founding CEO Vinodh Bhat takes over Malhotra’s previous role as President and also becomes Chief Strategy Officer. Malhotra told TNW that the change is strategic and marks a new phase for the company. “We [three co-founders] have built the business together for over five years, and always made the best decisions. As we move into a product-focused approach, it made sense to align our core strengths — that’s a global sales focus for Vin [Bhat] and a CEO role for me,” Malhotra said. “All the best companies make these decisions at different times in their lifetime,” he added. Malhotra revealed that there was never a suggestion of bringing in an outside hire. “The co-founders are the bones, and these bones are strong. There’s a lot of legacy and history about the business that needs to be understood,” he said, explaining that he believes the co-founders are uniquely positioned to be aware of. Finally, Malhotra confirmed reports that the company has welcomed a new investor, although he declined to reveal how much it raised in its new round of funding. 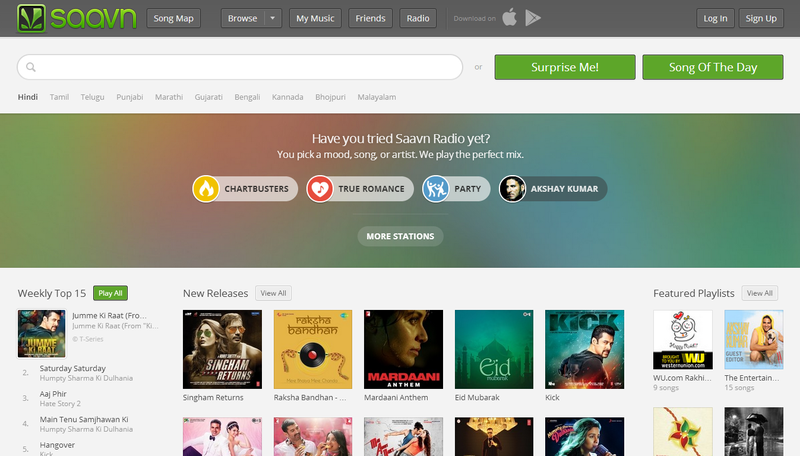 Economic Times last month reported that Saavn was raising $30-40 million. Malhotra acknowledged that Hong Kong-based hedge fund Steadview Capital joined Saavn’s investor ranks, but said that the reported numbers were “far off”. 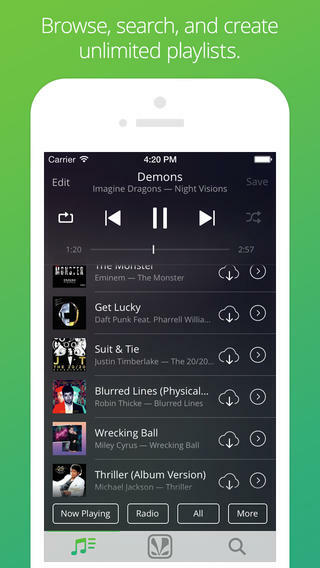 Saavn has previously raised $6 million in funding. For now, Malhotra said that there is no timescale for profitability — he revealed the company is regularly solicited by interested investors, but has no immediate plans to raise further capital. Malhotra also declined to provide updated user numbers for Saavn’s web service and mobile apps, beyond the 10 million monthly active user milestone it released in 2013. He did, however, tease an imminent announcement within the next two months. The service is available worldwide, but India accounts for 70 percent of its users. Despite the “insatiable appetite for listening to music” in the country, Malhotra said Saavn is casting its eyes overseas. Though the primary focus remains on India, he said the company is considering moves into markets where it sees engagement, such as the Middle East, next year. That could mean deals with record labels to expand Saavn’s catalog in line with local taste, he added. Saavn’s chief rival is Gaana.com, the Times Internet-run service that claims a library of three million songs and music videos. 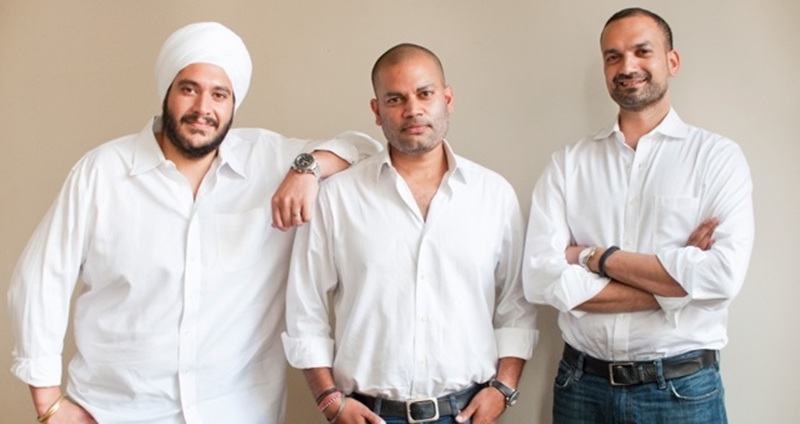 Former rival Dhingana closed down in late 2013, but has since been acquired by Rdio, the well-backed global company that could mount a stronger push in India. Spotify is yet to introduce its service in India, which remains a market plagued by piracy despite its huge potential for smartphones.